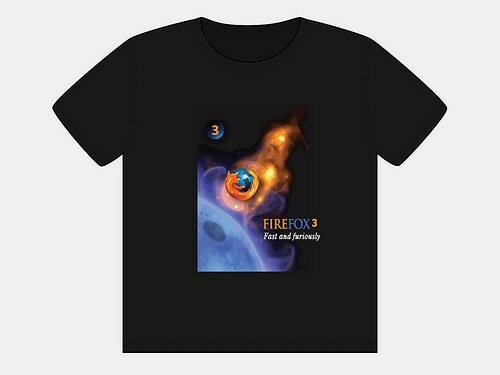 Mozilla Firefox developers recently called for entries to a T-Shirt design contest. The new design would be used to introduce their latest release version #3 . The T-Shirt design pictured was one of several designs I proposed, though it was my favorite. 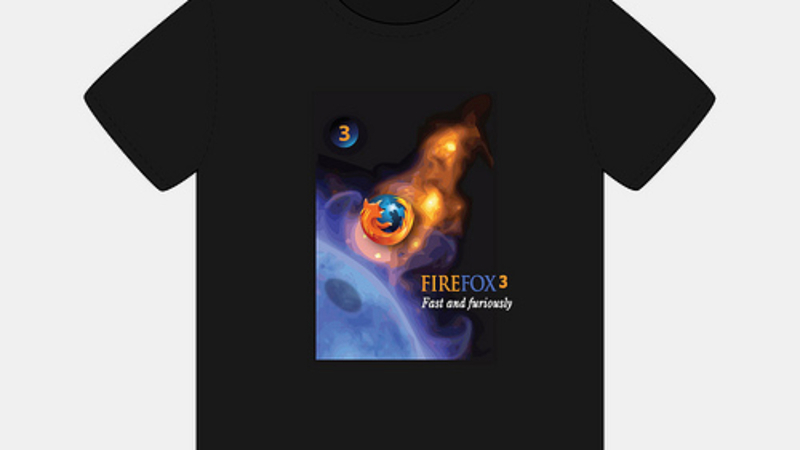 The concept should be obvious: portraying the new Firefox 3.0 having “Fast and Furious” speed. Speed has always been an emphasis in the development of this latest version of the popular Web browser. It was with this in mind that I created this t-shirt design with an image of a meteor entering Earth’s atmosphere. At atmospheric speeds, Firefox has been steadily approaching the pinnacle of beginning the most popular. With striking colors and a dynamic layout, I too anticipated an easy win in this shirt design.